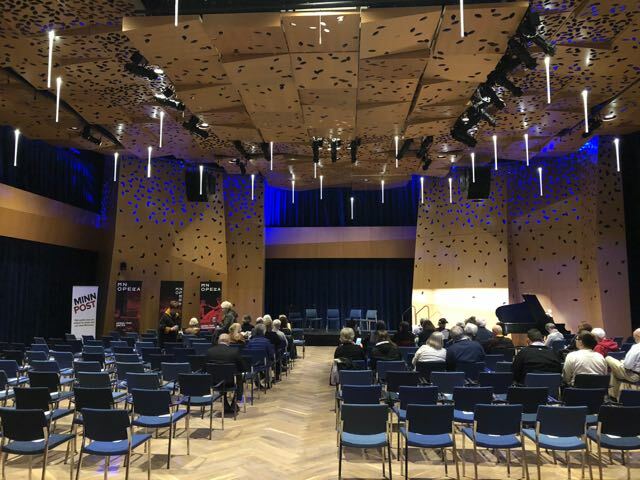 A week ago I had the honor of taking part in a panel discussion of World War I hosted by the Minnesota Opera and MinnPost. Alongside performances from the forthcoming opera Silent Night, about the Christmas Truce of 1914, we discussed the experience of soldiers and veterans — then and now. America only played a small role. Now, I did say something like this last Monday night — meaning only that the U.S. didn’t officially enter the war until April 1917, and American units saw sustained combat only during late spring, summer, and autumn of 1918. Most of the 4 million or so Americans who volunteered or were drafted never made it to any front. But as I had said earlier in the panel, Americans were never quite as neutral as Woodrow Wilson urged them to be in August 1914. On top of the relative handful who volunteered to fly for the French or fight in Canadian ranks, there’s the far more significant economic contribution: American factories helped clothe and arm the Allies, with American banks extending the credit to pay for that materiel and American merchant ships often carrying it across the Atlantic. And as little combat as American doughboys saw compared to their British, French, Belgian, and other compatriots, they helped turn the tide of a war that ended when it did as it did in part because of the political maneuvering of Wilson, who made clear that he would only negotiate with new governments in Berlin, Vienna, and Budapest. It was all about the Western Front. I’m guilty of feeding this misconception. Given the chance to lead a travel course on the war, I take students (and, soon, other people) to battlefields in Belgium and France. And obviously what happened at places like Ypres, the Somme, Verdun, and St. Mihiel is important for Americans and others to understand. It’s the kind of combat that largely defines WWI in popular memory, at least in this country. But even as I started to think through that course seven years ago, I wished out loud that I could go to places like Egypt and Tanzania, Turkey and Bosnia, Poland and Russia. This was truly a world war, fought by people from dozens of nations, often far from home. Given later developments in military history, for example, it’s worth remembering that Japanese destroyers helped protect British and French ships in the Mediterranean; on the island of Malta you can still find a memorial to Japanese sailors killed by an Austrian submarine. 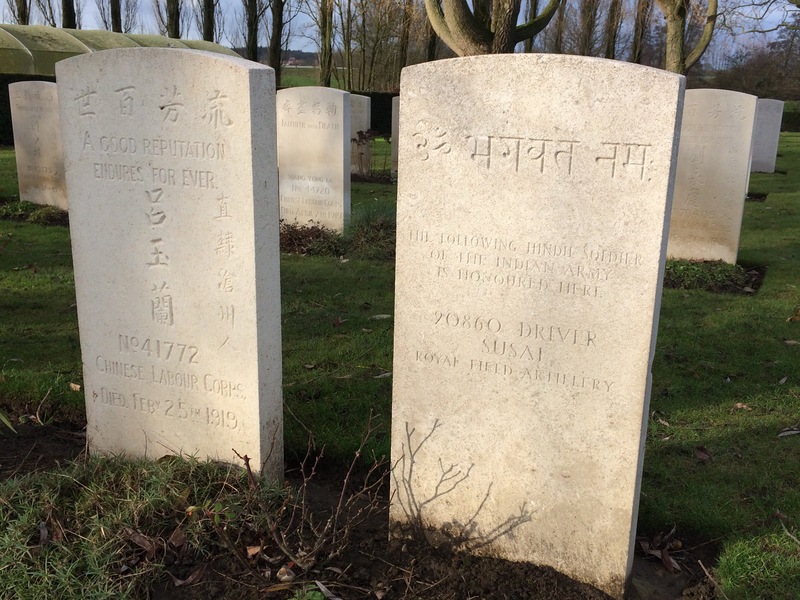 Even on the former Western Front, I think of the Chinese and Indian graves that one sees in Commonwealth cemeteries; the British war effort depended on poorly paid labor imported from Asia. And the way the war was fought varied, even on land. If your image of WWI is an artillery bombardment of entrenched positions, followed by infantry going “over the top” and being laid waste by machine guns, then read a history of the war on the Eastern Front, which moved hundreds of miles at a time as Russia and Austria-Hungary’s poorly led, demoralized armies took turns giving up territory. WWI was a “futile” war. Here too, there’s a lot of truth to this notion. As I said a week ago, the supposedly “Great War” was a brutal, dehumanizing conflict that killed at least 15 million people, wounded even more, destroyed economies and governments, started a genocide, accelerated a pandemic… and all for what? Paving the way for Communist and Fascist dictatorship? Extending European empire? Planting the seeds of a second, far more deadly world war?